The 'Respect' projects started life as a series of educational units, designed for The World Intellectual Property Organisation (WIPO) with written content supplied by The Film Space. These booklets explored ideas and issues around copyright aimed at Key Stage 3 & 4. Their popularity led to the creation of websites, apps and several localised versions. The Respect for Copyright educational website took its lead from the original printed material. The copy obviously needed to be updated and the challenge was to take print based activities and adapt and develop them to work online. The result is a resource crammed full of interactivity, including spidergrams, venn diagrams and various types of drag and drop tasks. As the resource was aimed at an international audience it was decided that it should be produced as an app as well. This would open it up to a wider audience where dated software or firewalls could be an issue. Aimed at an older age group (14 - 19) Respect for Trademarks is a resource designed to support knowledge and understanding of intellectual property rights, and trademark laws in particular. Whilst needing to work as a sister site to RFC, this had to have a more adult approach, where interviews and a few highly focused tasks replaced the more expansive nature of the previous site. 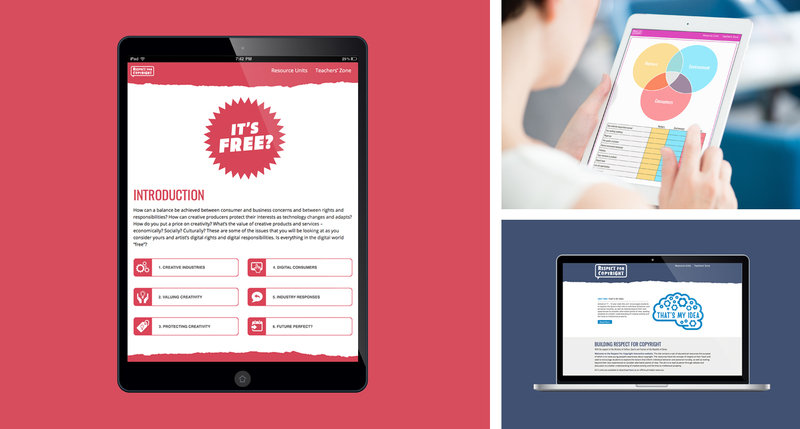 These included a history of Trademarks timeline, a leaflet design task and an interactive logo maker. As with RFC we also produced an app version of the resource. Both sites now sit under the Respect for Intellectual Property gateway. 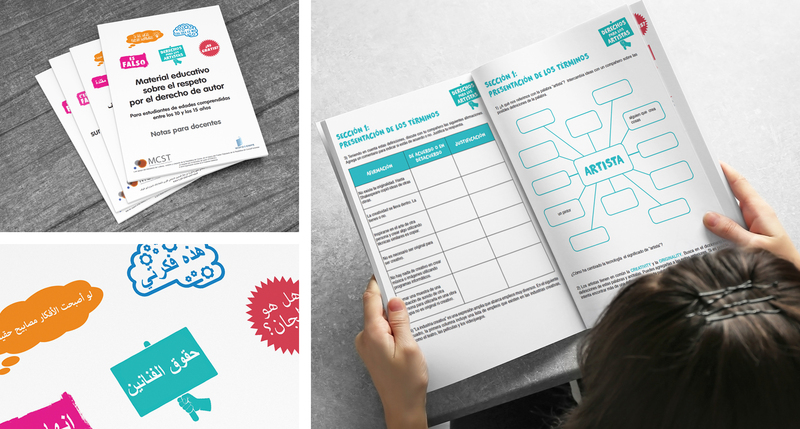 The original print based units continue to have a life of their own, having now been translated into French, Spanish and most recently Arabic. We have also recently launched a Spanish version of RFC and hope to continue making exciting new material for WIPO in the future.